A cloudy, slow day, ending at the most northern point in the EU. Hello Finland! Day 52. 78km. Veste Jakobselv – Nuorgam. Map and gpx. What to do with a week in northeastern Norway? Nice roads? Nice hikes? Speak to the locals. My plan is now made. Today: destination Finland. 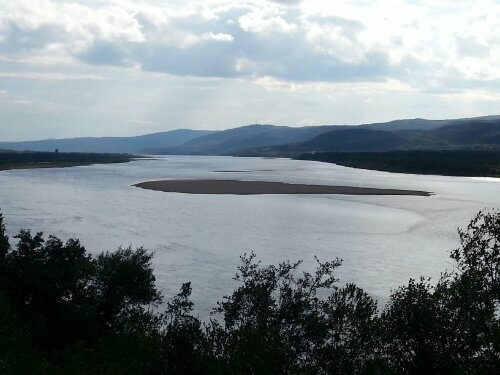 Tana River. Beautiful salmon river. It was cloudy and threatening most of the day. The Varanger Fjord was lovely but not well lit for photos. 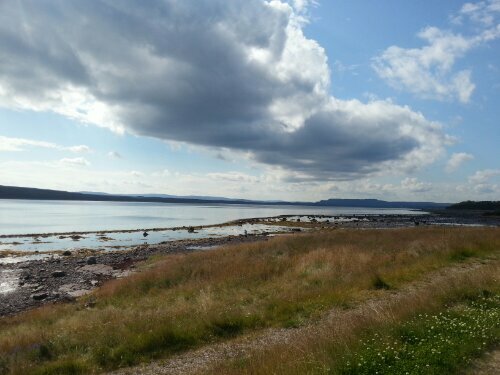 I then left the Varanger Fjord, over a small pass and down to the Tana River which runs into the Tana Fjord. A quick stop at Tana Bru. It was not really on my way, but I have passed signs to it from all directions. I thought I had to go there. 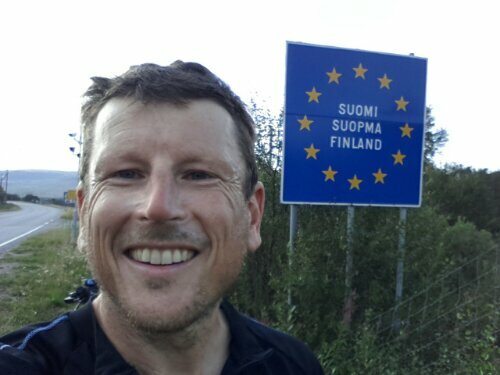 Proof im in Finland and the northern most point of the EU. Don’t you get sore hands with those flat bars? Sore hands? Well I wear gloves. I get a sore back with other types of handlebars. Or did you mean something else? Nice talking to you today, good fun together with Heikki. I wish you all the best, and may God bless you! 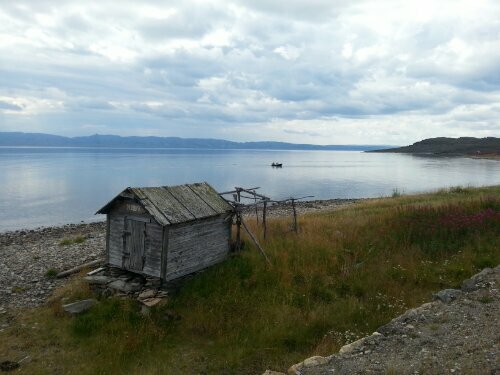 Here is how we saw Nuorgam when on car tour. 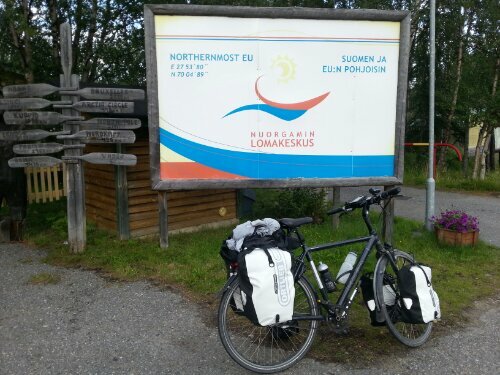 Nuorgam, the northernmost village of Finland and the European Union. Thanks! I can see we both like the North. 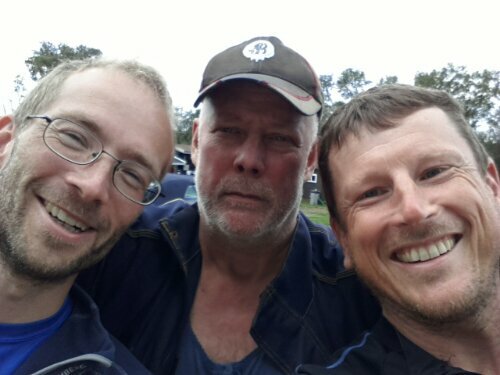 🙂 Greetings from Bugøynes!